“The best way to become a billionaire is to help a billion people.” - Peter Diamandis. Peter Diamandis is the founder of the XPrize and a serial entrepreneur. Now we have a way to help a billion people. We have Treatment Scores. What TreatmentScores.com does, and what we blog about at TreatmentScoresBlog.com, is help people review the medical literature and quantify the net absolute treatment benefit for the patient, which we call the “Treatment Score” for simplicity. How many people will Treatment Scores help? Approximately all 7.3 billion people on the planet, not to mention all healthcare professionals, educational institutions, health related non-profits, health related businesses, and all governments around the world involved with healthcare. If you are a student of macroeconomics, you know that quantification disrupts every industry it touches. Finally, medical treatments are going to be quantified! Medicine and business can go together for the greater good. Few people know better than physicians the partial truth in the old saying, "If you have your health, you have everything." Physicians and nurses see more people deteriorate from old age and other medical problems until the life drains out of them than most people do. Almost everyone knows the partial truth in the old saying, "Do what you love." In theory, if you do what you love everything else will fall into place. Put these sayings together and you get Treatment Scores, Inc. Many people are passionate about helping other people, and also about doing evidence-based medicine. People love using science for good. Why should this be a business? Why should TreatmentScoresBlog.com and TreatmentScores.com be businesses? Because Treatment Scores "cure severe pains" for consumers, educators, researchers, businesses, and governments. A recent study of 531 physicians found that over 80% of physicians could not correctly interpret two treatment effects from a medical study. This means that 80% to 100% of patients probably can’t figure out treatments either. Why is it so hard to figure out treatments? It’s because the math problem is ridiculously complex. You often need to organize over 10,000 pieces of information, and there is almost always missing data. Almost every statistic is a flawed statistic. Routinely, any two statistics on the exact same outcome can almost never be weighted equally. Conversion factors are missing. Essentially, every variable has another variable! The problem for patients is that the medical literature is in a huge, dark, underground cavern containing over 22.5 million disorganized medical studies. It’s difficult to get into the cave, and after getting down there the medical vocabulary is incomprehensible and the statistics are next to impossible. Even the most highly skilled patient cannot overcome all these obstacles and the “avalanche of big data.” Every once in a while, a physician (or other expert - perhaps you) enters the cave, shines a flashlight into the darkness, and comes out to explain a few medical studies to a patient. Then, it all goes dark again. Our Treatment Score Analyzer™ goes into that huge dark cavern, wires it with electricity, and turns the lights on forever. There are at least 57 treatments for an acute migraine headache. Wouldn’t it be nice to know what the medical literature says the treatment benefit is for all those treatments? Ask your healthcare provider: “What is the Treatment Score for Imitrex (sumatriptan) for an acute migraine headache?” They probably will have no idea. Ask them: “What is the Treatment Score for ginger powder for an acute migraine headache?” They will probably have no idea. (Sometimes alternative medicines have data and sometimes they don’t, but all we care about is the data.) 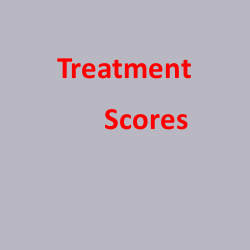 What about the Treatment Scores for cancer treatments? We need to know! You can find over 130 treatments for insomnia on the Internet. Ask your healthcare provider: “How many of those treatments are grade A?” Or ask them, “What are the Treatment Scores for all those treatments?” The problem is that there is no useful quantification of the “net absolute treatment benefit” for the patients studied in the past. With Treatment Scores we can fix this. Quantification, once achieved, will change the world for the better. It will be disruptive for medical education, for all 7.3 billion potential consumers of healthcare, for all healthcare related nonprofits, for all healthcare related businesses, and for all governments around the world that participate in healthcare. Many medical disasters have happened because of the lack of quantification: frontal lobotomies, the epidemic of unnecessary hysterectomies, knee surgeries that did not work, and medications for heart arrhythmias that turned out to be killing people. Physicians, and all other medical professionals, generally love to help people, and they love to review the medical literature, because it is fascinating, because they love science, and because reviewing what happened to patients in the past is how we learn. Medical reviews are the starting point for evidence-based medicine and shared decision-making. “Quantified medical reviews” with Treatment Scores, will be the next step in the evolution of big data and statistics. “Quantified medical reviews” of treatments can be combined with clinical experience moving forward. Why will Treatment Scores help so many people? A “better system” can help more people than any one person can ever help in their lifetime working alone. Physicians already do Journal Clubs, Grand Rounds, Morbidity & Mortality Conferences, and Continuing Medical Education. They are lifelong learners. But what if learning could be taken to the next level with quantification of treatments? That would be a game changer. Bill Gurley, a Venture Capitalist at Benchmark, has tweeted that for healthcare he wants disruptive technology without onerous regulatory hurdles. It is important to start the revolution like Treatment Scores is doing, without needing a 100 million dollars for step by step clinical trials. Think how Uber has changed the world. I read an article where someone said Uber did not build new taxis, Uber did not build new infrastructure, Uber simply reorganized what already existed. That’s what we’re doing with Treatment Scores. I have read many articles about Airbnb. Airbnb did not build new hotels. They reorganized what already existed so that everyone could participate. That’s what we’re doing with Treatment Scores. We are bringing evidence-based medicine to the masses. Uber may be worth 50 billion dollars. Airbnb may be worth 25 billion dollars. Companies can change the world by reorganizing it with software. Marc Andreessen, a venture capitalist, famously wrote: "In short, software is eating the world." 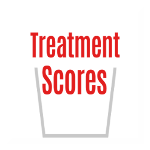 Treatment Scores are designed to help people. They will mean better transparency in healthcare. They will help the people that need help the most: the sick, the dying, and the disabled. Physicians have set up Treatment Scores, Inc. as a vehicle to attract other physicians, and other evidence-based medicine “connoisseurs” such as health writers and bloggers. We want to create international interest in quantifying the science of medicine behind medical treatments. We want people who are seeking a higher purpose. There are many important buzzwords and phrases being floated around about how to improve medicine. Things like: evidence-based medicine, shared decision-making, treatment transparency, personalized medicine, patient mentoring, patient engagement, participatory medicine, patient-centered care, and patient-generated research. Treatment Scores can make all these things actually happen instead of just being theoretical. I love the E-patient movement and the “Spoonie” chronic pain patient movement. Treatment Scores can give these movements the tools they need to make a huge difference in people's lives. "Mobile Health Desperately Needs Treatment Scores: Health Information Technology"
"Lunesta for Insomnia in Patients with Rheumatoid Arthritis: Treatment Scores"
Peter Diamondis was quoted by INC. December 2014/January 2015. P. 40. “Do clinicians understand the size of treatment effects? A randomized survey across eight countries.” By Bradley C. Johnston, PhD, et al. Richard M. Fogoros, M.D., Fixing American Healthcare, 2007, Publish Or Perish DBS, Pittsburg, page 31. Why Software Is Eating The World, by Marc Andreessen. Wall Street Journal. August 20, 2011. Accessed December 23, 2015. Cold Remedies - What's the evidence?